15 Minutes is an interview podcast with the biggest names in the global security space. This week The Cipher Brief's Executive Producer and Reporter Leone Lakhani speaks to David Priess, a former CIA analyst and author of The President's Book of Secrets, which shares the untold stories and historical perspectives of the president's daily intelligence briefing. Press, who served during the Clinton and George W. Bush administrations, once worked as a daily intelligence briefer for the CIA himself. He speaks to Leone about the types of details that go into the President's Daily Brief. 15 Minutes is an interview podcast with the biggest names in the global security space. 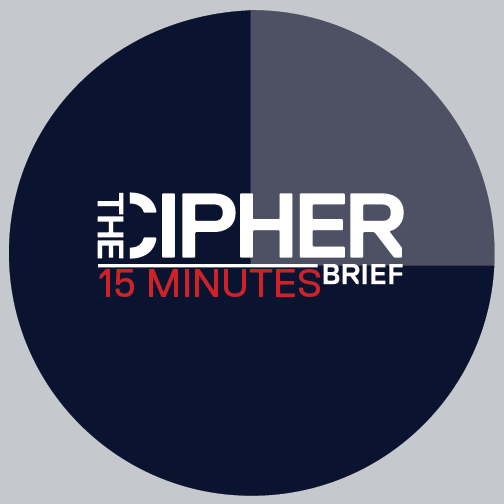 This week The Cipher Brief's Executive Producer and Reporter Leone Lakhani speaks to Antony Blinken, who served as Deputy Secretary of State under the Obama Administration. As Donald Trump takes office, Leone asks Antony for his views on the diplomatic and security challenges facing this administration—from Russia to North Korea, Syria, and Iraq. 15 Minutes is an interview podcast with the biggest names in the global security space. This week, The Cipher Brief's Executive Editor Fionnuala Sweeney speaks to Mary Aiken, advisor to Interpol and author of The Cyber Effect. Fionnuala talks to Mary to explain cyber-psychology and the impact of the internet on human behavior. 15 Minutes is an interview podcast with the biggest names in the global security space. This week, The Cipher Brief's Executive Producer and Reporter Leone Lakhani speaks to Corin Stone, Executive Director of the National Security Agency. Leone asks Corin about the evolving role of the NSA amid the rise of new threats, including cyber crime. 15 Minutes is a weekly interview podcast with the biggest names in the global security space. 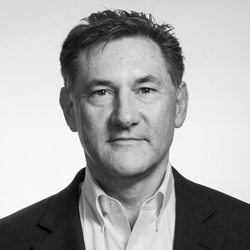 This week The Cipher Brief's Executive Editor Fionnuala Sweeney sits down with Steve Grobman, Chief Security Officer with the Intel Security Group. When it comes to America's security in the cyberspace, the U.S. government and the private sector haven't always seen eye to eye. Fionnuala talks to Grobman about how best to cooperate between the two sectors. 15 Minutes is a weekly interview podcast with the biggest names in the global security space. This week, The Cipher Brief's Executive Editor Fionnuala Sweeney sits down with Suzanne Spaulding, Under-Secretary for the National Protection and Programs Directorate at the Department of Homeland Security. Fionnuala talks to Suzanne about the development and execution of cybersecurity policies in the federal government. 15 Minutes is a weekly interview podcast with the biggest names in the global security space. In light of Donald Trump’s rejection of a recent CIA finding that Russia helped him win the White House, The Cipher Brief’s Executive Editor Fionnuala Sweeney talks to Rob Richer, former CIA Associate Deputy Director for Operations and formerly chief of Russian Operations. She asks him for his opinion on Russia’s objectives and how it conducts itself in the field of espionage. 15 Minutes is a weekly interview podcast with the biggest names in security. As part of our ongoing special coverage of the CIA’s finding on Russia’s interference in the election, Fionnuala Sweeney also talks to former CIA Officer, Alex Finley (not her real name), whose recent satire Victor In The Rubble has gained a cult following, among Agency members and watchers. Fionnuala asks Alex about the recent developments, and how the President-elect’s rejection of the CIA assessment will impact Agency operatives in the field. 15 Minutes is a weekly interview podcast with the biggest names in the global security space. In a post–election special edition, The Cipher Brief's Executive Editor Fionnuala Sweeney talks to Jack Keane, retired four-star general and former Vice Chief of Army Staff. Fionnuala asks General Keane for his insight on President-elect Donald Trump's choice for Secretary of Defense, retired Marine Corps General James Mattis, who Keane recommended to the transition team. 15 Minutes is a weekly interview podcast with the biggest names in the global security space. In a special edition of 15 minutes, The Cipher Brief’s Executive Producer and Reporter Leone Lakhani talks to Steve Murphy, one of the DEA agents who was instrumental in bringing down Colombian drug lord Pablo Escobar. Murphy and his partner Javier Pena were depicted in the Netflix series Narcos, during their hunt for Escobar. To mark Escobar’s death anniversary, Leone sits down with Murphy for a special edition of 15 minutes. In the first part of the interview, she asks him how much of the series was accurate, how much was pure Hollywood, and what really happened the day the “King of Cocaine” was killed. Click here for Steve Murphy (Part II).